No bones about it! You'll look like a handsome devil once you slip into the eerie elegance of these supernaturally stylish Spot Socks by Alexander McQueen™. Kitted design with polka dot pattern throughout. 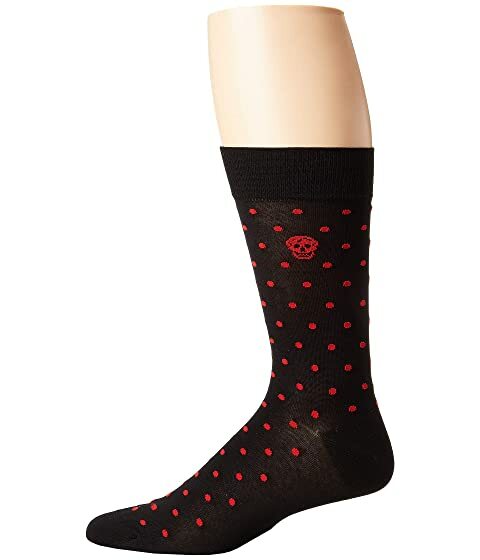 We can't currently find any similar items for the Spot Socks by Alexander McQueen. Sorry!